The one negative about being part of a community garden is that, inevitably, there are thefts. My community garden is completely open to the public. No fences or locks, just a large open space filled with plots. Apparently too tempting for some people. So I shouldn’t have been surprised when I passed by my garden on Tuesday night to find that someone had stolen a bunch of my onions! Pilfered onions – drat! And look what they did to my tomato plant!! I decided to come by after a relaxing Zen stretch class at the Yoga Sanctuary. I strolled slowly passed the raspberry bushes, helped myself to a few. 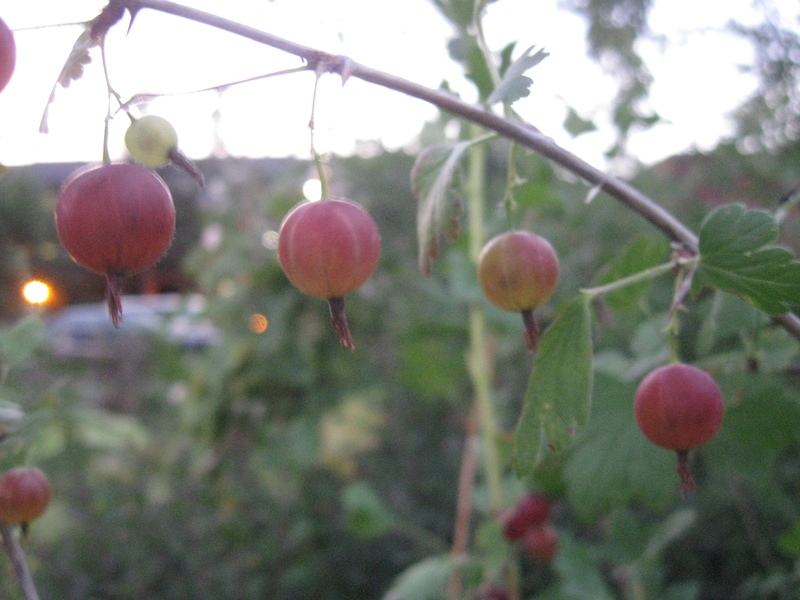 Then I remembered the gooseberry bush in the community area. So I went over and took some pictures. Afterwards I walked lazily over to my plot, feeling that all was well with the world, until I was shocked back to reality: I’d been robbed! they knocked over my tomato plant!!! I took a deep cleansing breath, sighed, and cleaned up the greens. 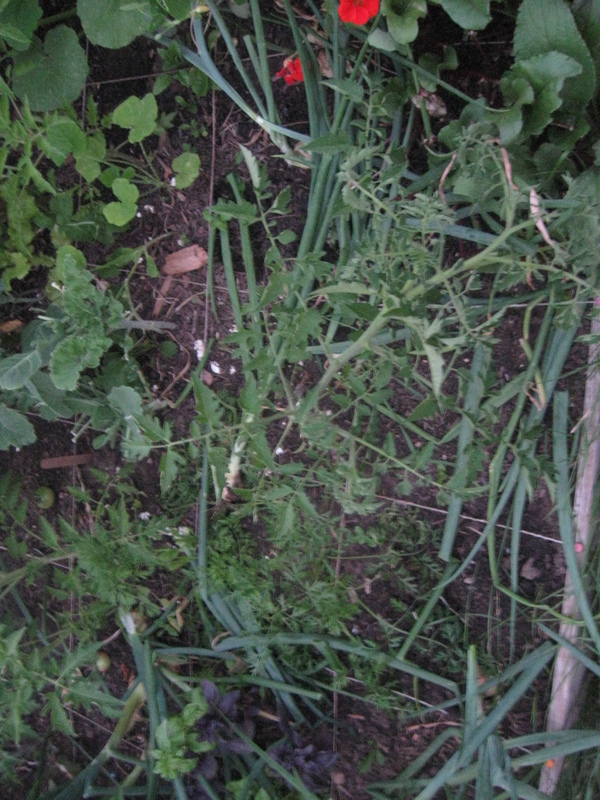 I pulled out the remaining onions and staked the poor tomato plant. 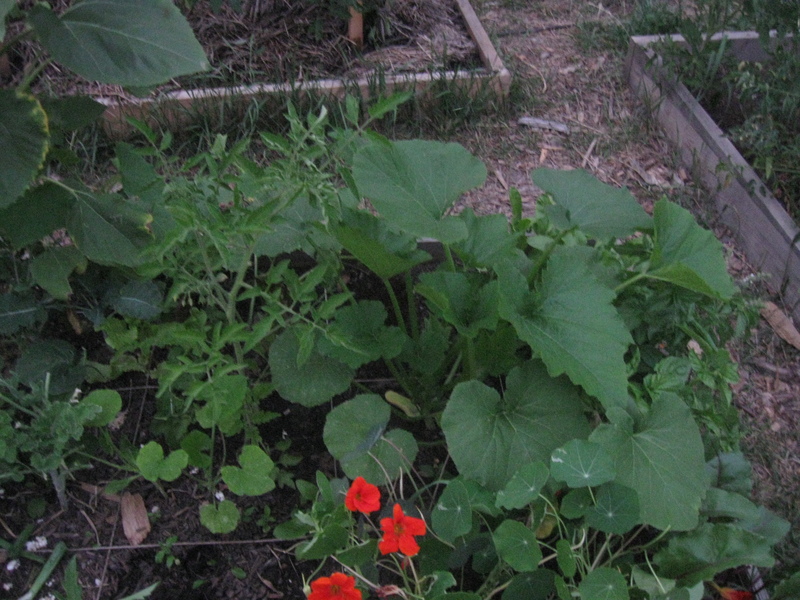 Then I thought about the bright side: the thief did make some much needed room for the zucchini plant, which had gotten insanely big when I wasn’t looking. 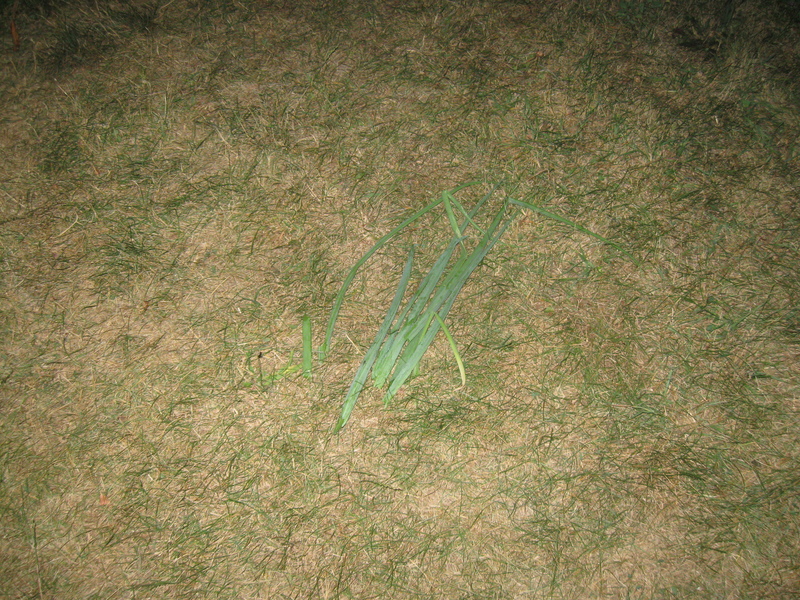 As I walked away from the plot, I noticed more discarded onion greens on the grass! What makes me mad is that they are perfectly edible! Why would you just discard them? Had some gooseberries on the way home. They taste kinda like grapes. Brought me back to a peaceful state.